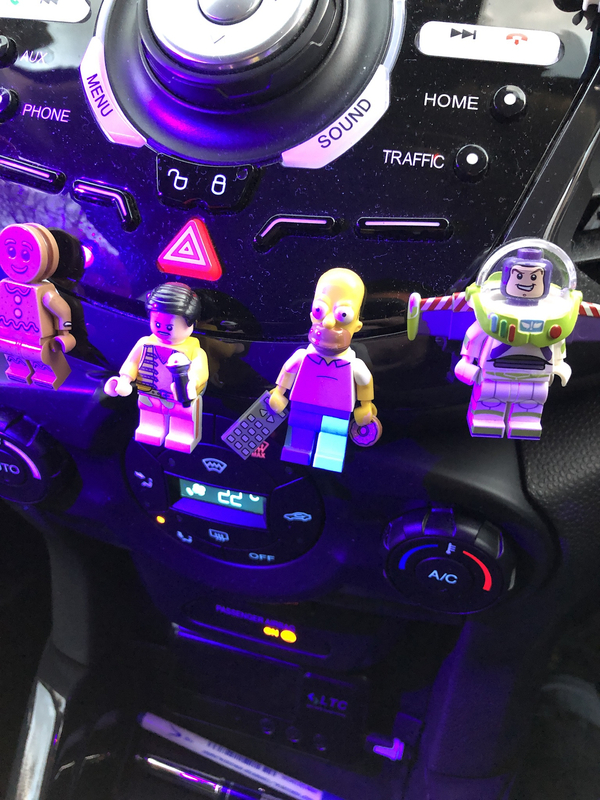 I have a minifigure of Homer Simpson. Totally by accident I shone a UV light at him. For some weird reason his left leg lit up, nothing else just his left leg. 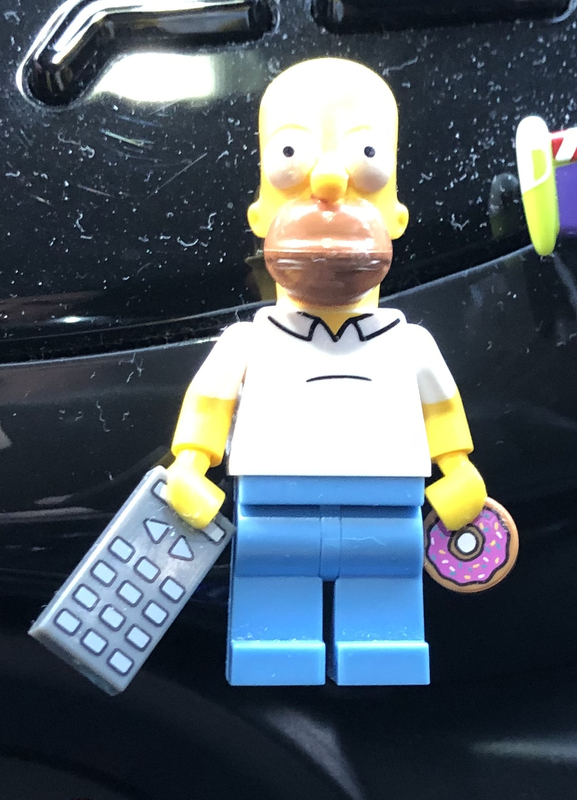 None of my others do it’s just Homer??? 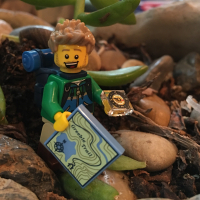 Contacted LEGO & they have no idea. Why is the glowing shape changing from one picture to the other? The secret is revealed. 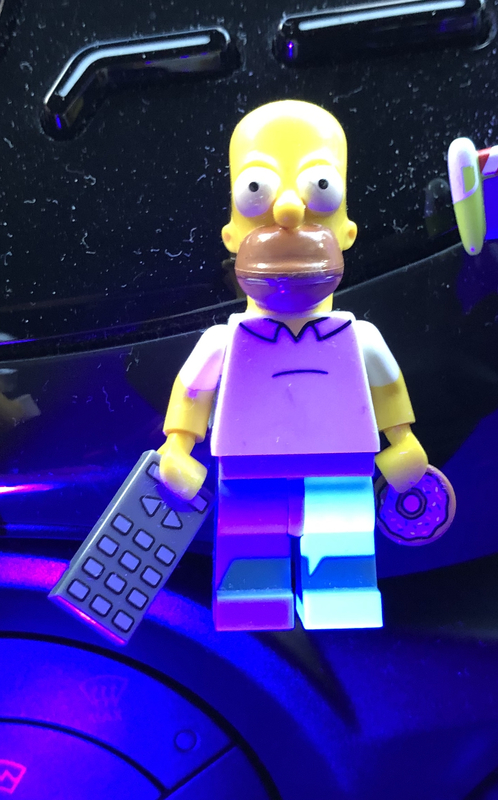 Homer is a nuclear powered cyborg. Whatever the case, that centre console just screams Bohemian Rhapsody! Mama Mia, mama mia, mama mia, let me go! Aaaand there you go... Damn-it. Too late! Now I have shards from the lyrics of that song stuck in my head. Oye! Better listen to some other music, otherwise I won't be able to get rid of random Queen bits echoing in my mind for the rest of the night. The last picture looks like a speech bubble coming from his shoe. Did he get that donut from Otto with a "secret ingredient" so his shoes talk to him? I thought it was salt? Is this happening on other (left) legs of the same colour? This feels like those stupid Twix commercials. Obviously, someone was goofing around at the left leg factory! Any chance this was purposeful by TLG as some form of Easter Egg? What I want to know is why do you have UV lights and why would you be scanning mf’s anyway? Looking for blood stains or urine. 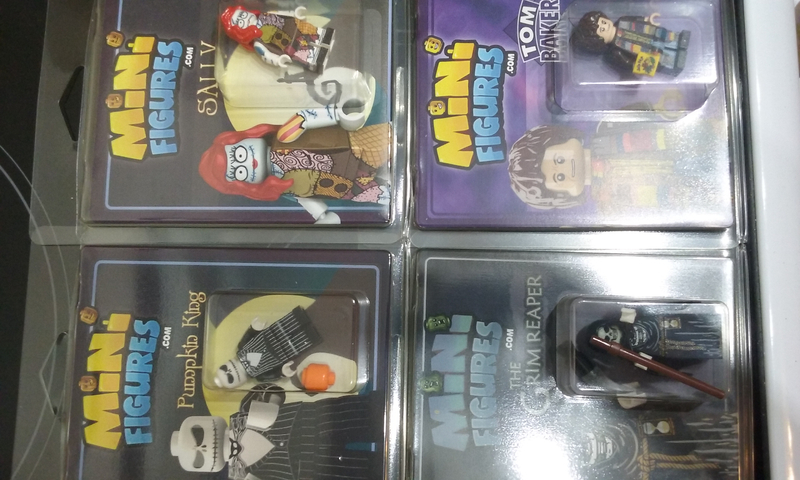 Babysitter, shark and hotdog man are all CMFs with the same colour legs. Although from the same year, Captain Cold would be good to compare against. I checked out your link. I love how the guy is holding a cup of urine and its spilled all over his hand! Itchy's legs are short legs, so a completely different part. Huh, after two days of being totally confused - I just got it. 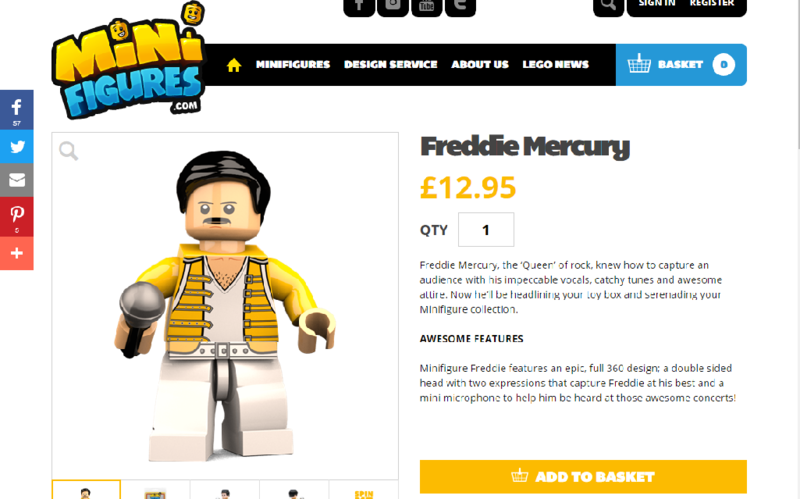 No clue that was a custom Freddie Mercury. Only if you Gallilao, Gallilao and confirm that Beelzebub really does have a devil for a sideboard. Deal? 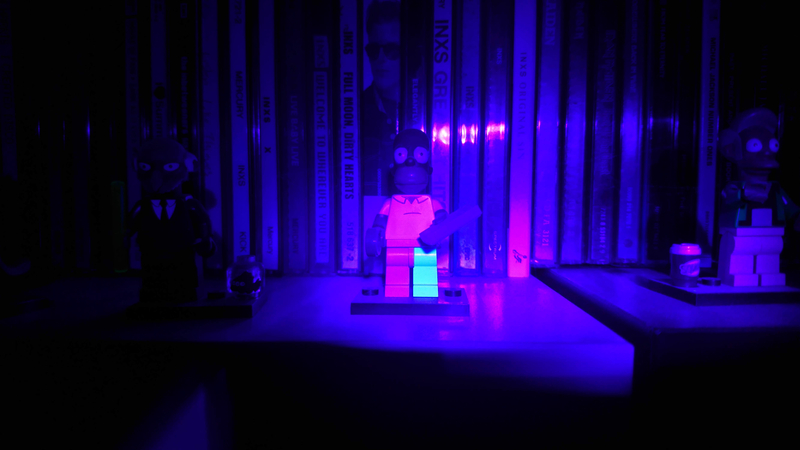 Took my UV light into the Lego room to look for weirdness like this. 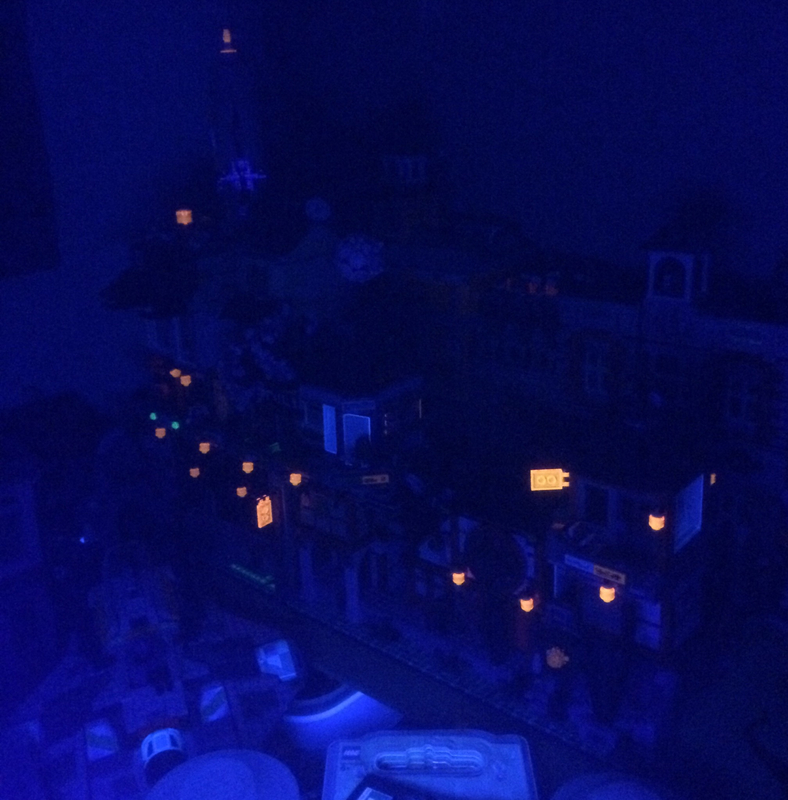 No oddities, but trans orange and yellow stuff glows like anything - makes Ninjago City and the Death Star look cool! 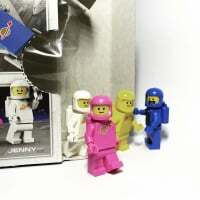 Oh hell.. Another new Lego craze that will end in a meme. you remind me I should get an UV light some day. I think some elves sets may look pretty cool, if all the crystals glow. 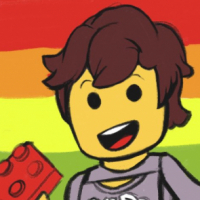 I think this is a great discovery and also (want to) believe Lego might have put it in as an Easter egg. 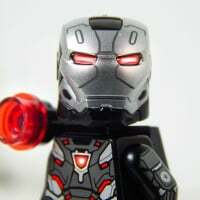 If it is, I wonder why they didn't do the whole figure that way, or even the whole legs. 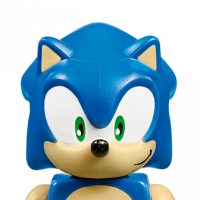 Or if these ones also made it into other sets - after all, if this is just for Homer, then these medium blue legs are different to other medium blue legs. It would be a very nice way to make a force ghost for the final scene in ROTJ. Over the years I've been trying to dye with a number of different blue fluorescent dyes (like you can dye LEGO with RIT dye) but with no success. 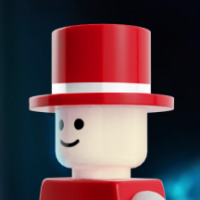 If LEGO can put the dye in during processing, then that could lead to some very nice figures. 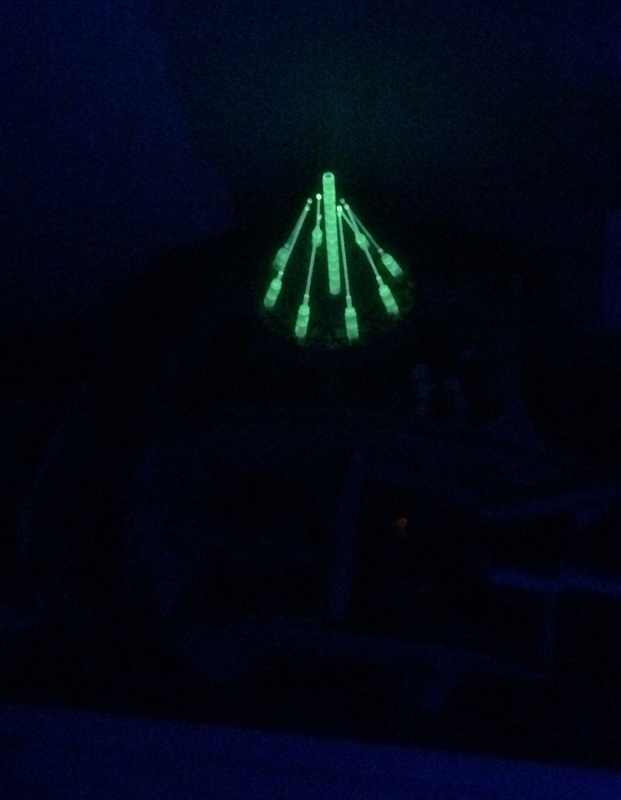 There are definitely several LEGO colors that I've noticed sometimes glow under UV light and sometimes don't. 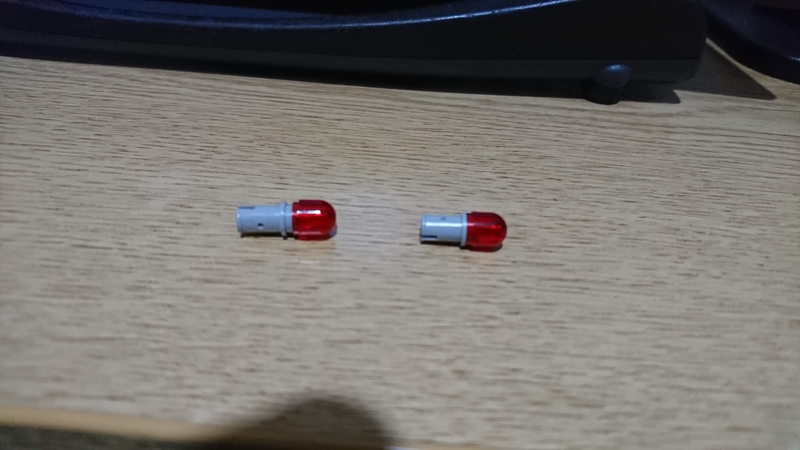 I suspect when LEGO is purchasing dyes from their various suppliers and checking to ensure they're within the acceptable range for the LEGO colors in question, fluorescence isn't something they really take into account. This is definitely the only time I've seen a figure with only one leg that glows, though. I guess the machines producing the legs were set up using dyes from different suppliers. I guess the machines producing the legs were set up using dyes from different suppliers. I think a lot of people are forgetting that just because the legs arrive as one piece doesn't mean they are moulded at the same time...there are 3 separate pieces here that could have been moulded weeks apart depending on production run requirements etc, so something like a contamination in the plastic or a slightly different dye aren't going to be consistent across all 3 parts of the leg. ^ Yes, that is why I wondered if anyone had seen it in other medium blue legs (or of course in other parts). 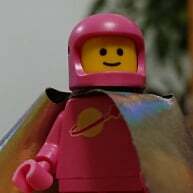 If a batch of left legs in that colour were made with the extra fluorescent dye, they might show up in other minifigures. It is possible that it has been purposely used as a tracer to detect if the dye has been leaking during part of the mixing or molding process. If machinery is stained or blackened or just small amounts of a dye are on the surface, it is hard to tell by eye. Whereas a fluorescent tracer makes it much more obvious. Unfortunatly I think the elves stuff is trans colours, it needs to be neon colours to glow orange neon flames work well. 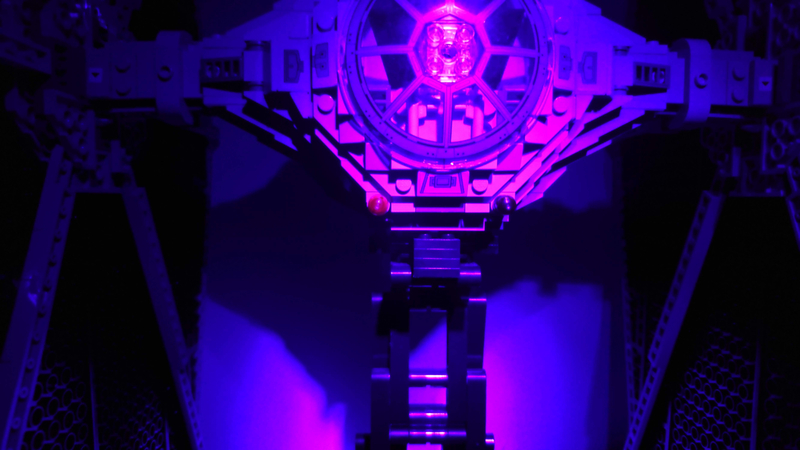 I have a strip of 9v uv leds I used in a moc but unfortunatly the harsh hall lighting I was displaying in meant it didn't work too well.